Think back to when you were a kid, playing in the dirt, digging holes, making pies out of mud or helping your parents plant flowers or a vegetable garden. We probably didn’t realize we were actually doing something healthful by exposing ourselves to healthy bacteria, parasites and viruses which made our immune system stronger. Studies have actually shown how gardening and touching the earth can promote overall health. 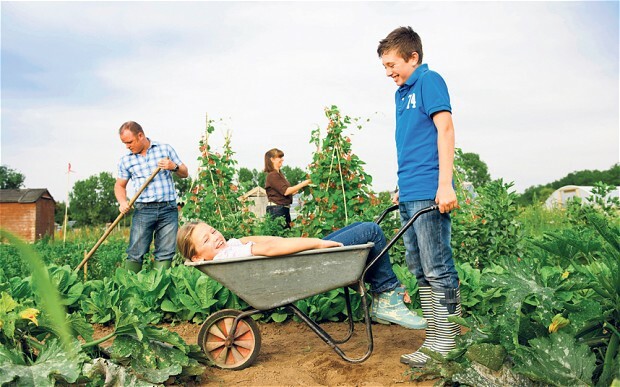 Below lists how gardening may benefit our entire well-being. Provides regular physical exercise and helps you feel more energized. May help with brain health by lowering the risk of dementia. Sunlight increases serotonin which is responsible for feeling good. Gives your mind a break from thinking about problems as you focus on the actions of gardening and how the earth feels and smells. Gives you a chance to be creative and see the end result of your garden, such as vegetables, flowers or herbs you can use in cooking. Increases the sense of community ownership. Helps foster development of a community identity and spirit. Inspires interaction with a diverse group of people of different ages, races, cultures and social classes. Allows families to spend time together and to experience the health benefits. Can be an adventure for children to help them discover where food comes from and to learn responsibility for their own section to work. Is fun for small children to play in the dirt, all the while developing gross and fine motor skills. Can substantially reduce your grocery bill during the summer and winter if you freeze or can your surplus. Can save on gasoline costs with fewer trips to the grocery store. Provides an opportunity for you to create your own aroma therapy products by planting certain flowers, plants or herbs such as lavender. If you love butterflies and hummingbirds, you can grow plants and flowers that attract them. Check out your local library for books on which plants to get. This is beginning to sound fun, isn’t it? How about we get out there and make mud pies and dig holes again and watch our stress melt away? Then we can enjoy the fruits of our creativity and labor. Happy Planting! !